The Aspiravi Holding is 100% shareholder of Aspiravi Offshore II, Aspiravi Energy and Aspiravi Trading . 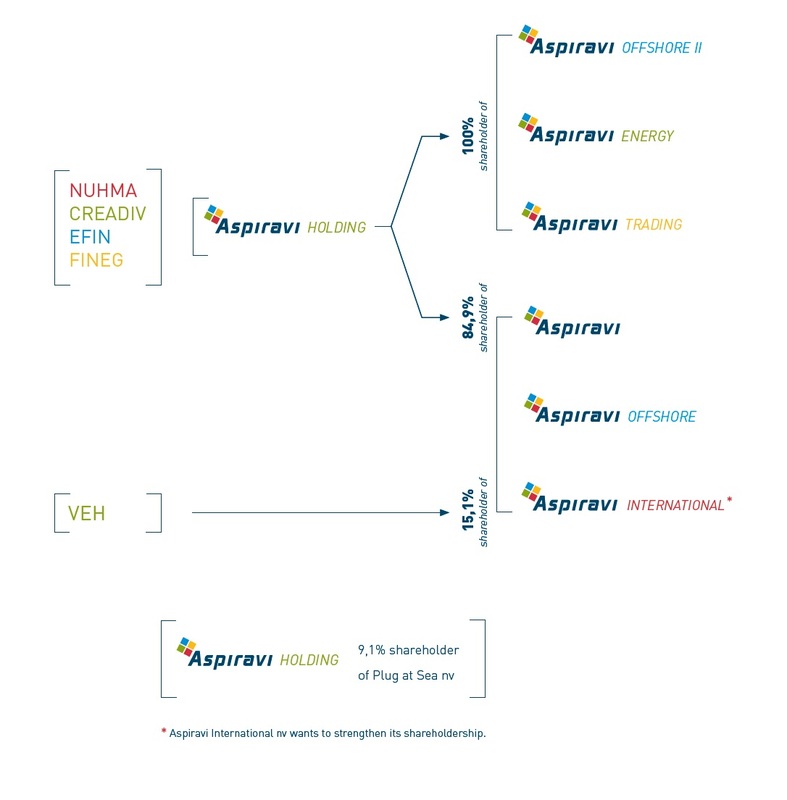 The Aspiravi Holding is 84.9% shareholder of the enterprises Aspiravi, Aspiravi Offshore and Aspiravi International . The VEH owns the remaining 15.1% shares in these 3 companies.